What’s on at The Willow??? 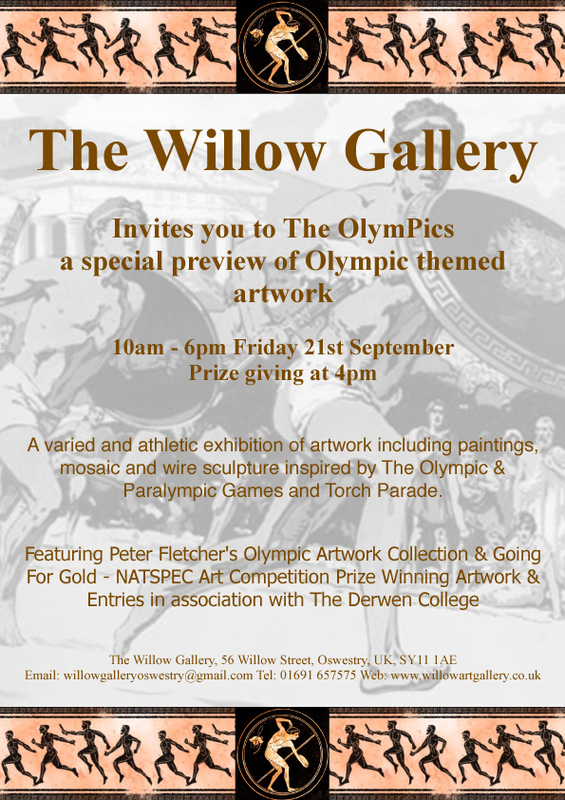 The Willow Gallery invites you to a special preview of The OlymPics, a special exhibition of paintings. 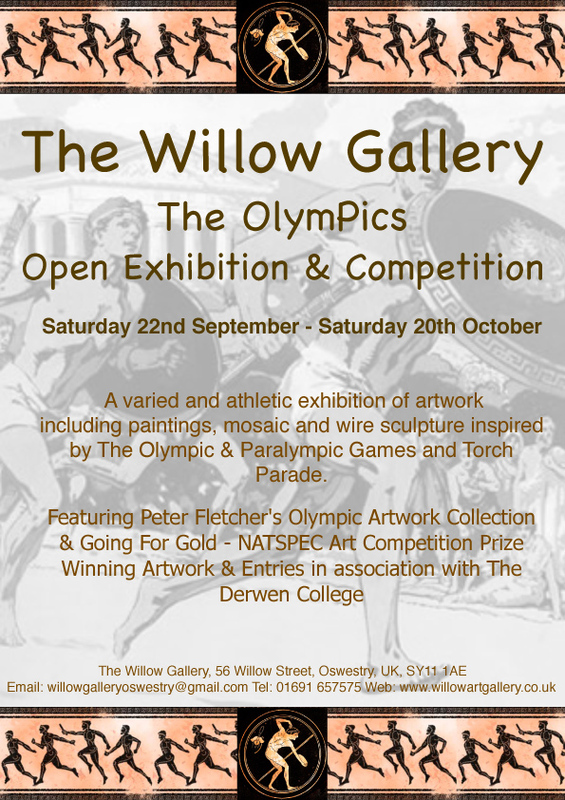 Celebrating the jubulent atmosphere of the Olympics this exhibtion features work across the age ranges. Also featured is work from the Derwen, The National Star and Henshaws college students. Our feature artist, Peter Fletcher, has captured the intensity and speed in a fabulous arrary of Olympic cyclists in pastel. At 4pm we will have a prize giving for winners of the competition entraces. We look forward to hopefully seeing you at the Preview or at somepoint during the exhibition. Please contact the gallery to unsubscribe from the mailing list. « Ceiriog Valley paintings, prints- calling all artists!